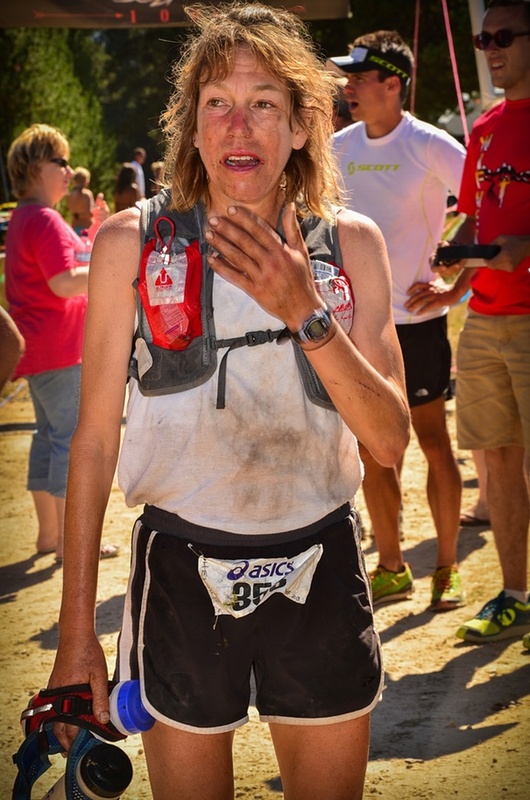 If you don’t know Ann Trason, then you are not an Ultrarunner. Before you type her name on Google, I would like to briefly mention that she was the Lady Champion of the Western States 100-Mile Endurance Run for 14 times after failing to finish the race on her first two attempts. She has also broken twenty (20) World Records On Ultrarunning during her career. She is now a Running Coach of a Middle School in Berkeley, California; coach for a High School Track Team; a Race Director; and an On Line Ultrarunning Coach. She is also a columnist/writer for the Ultrarunning Magazine where this post was taken/copied. The following is the complete copy of the “Ask Ann” Column in the said magazine. Now that you’re a coach, are there some, key lessons you pass down from your own coaches? Consistency My coach made sure I would get out and do something every day, every week, every month, year after year. Sometimes a lot, sometimes just a little, occasionally fast, often very slow. Consistent training yields consistent racing. Smile Happiness is infectious. She taught me that no matter how tough the day, there is always something to smile about. How can I mope about something going wrong when it makes such a great story to tell my friends?! Passion I learned that a good coach must be as passionate as her runner. She made it obvious that she shared my passion for running. Adaptability I always admired her instinctive ability to accept and instantly adapt as situations changed. We all have that ability buried inside us. I’ve worked hard to let it out. Running is play, not work I have no idea how many miles I’ve run in my career. I can thank my coach for that. She viewed running as a chance to play. For her, there was no focus on checking the pace, tracking the miles, counting the hills. A good run was being out there having fun. Positive attitude My coach never scolded me, never barked orders. She did give me a sly look occasionally when I did something wrong, but it was always to encourage me to do something better. Relax let yourself run free. My coach had a naturally beautiful running form. Just watching her glide along, no tension, no unnecessary motion, made me a better runner. Keep it simple My coach was always about simplicity. She was not into fancy gear. It was simple running. Don’t overthink things She taught me to never overthink my running. A steady trot is the fastest way to cover ground I’ve never been the fastest runner, nor the most talented. My coach helped me learn to run steady, mile after mile, never worrying about the other runners or the terrain ahead. Enjoy the journey For my coach, it was always about the journey, not the destination. Explore new places My coach made sure we searched for new trails, trotted across green meadows and bounded up hills just because they were there. Stop to sniff the flowers My coach taught me to look around, smell the fresh air and feel the breeze blowing my hair. No matter how long or hard a run I had scheduled, there was always time to take in the unexpected view. Get wet Every stream, every lake is a chance to refresh yourself with a quick dip. Enjoy the moment There are times in life when we need to run long and hard. There are other times when the best thing to do is sit quietly at the edge of a meadow. In either case, enjoy the moment. Passing the torch Seeing her love of running increased my desire to give back to the sport by mentoring and coaching others. Unleash your potential There are times to hold back, but there comes the moment when you need to take off the leash and let yourself run free.